I'd walk the dog but she refuses to admit that times before 8am exist and is still fast asleep refusing to awake. Lovely photos - amazing how quickly things changed. I'm definitely with Rosie, if I didn't have to work I'd adopt the same attitude. Years ago when I had greyhound Mollydog, I never got to lie in at all because she believed in greeting the dawn with song and dance. Rosie is the complete opposite, she sleeps approx 22 hours a day and considers early rising to be a form of cruel and unusual punishment. What a truly lovely place you live in! It's definitely at its best at that time in the morning when the mist is filling the valley. Yeah, once in a while an early rise is worth it. What a beautiful sight! Rosie was unconvinced, but I enjoyed the view anyway! Gorgeous pictures! The first one especially takes my breath away. 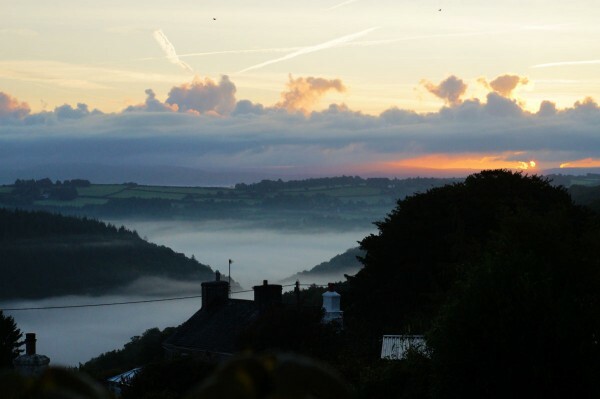 I love it when the mist fills the valley like that. You can't quite see the river from our house, but the mist that hangs over it is very striking. What a fantastically beautiful place. At sunrise, it really is. 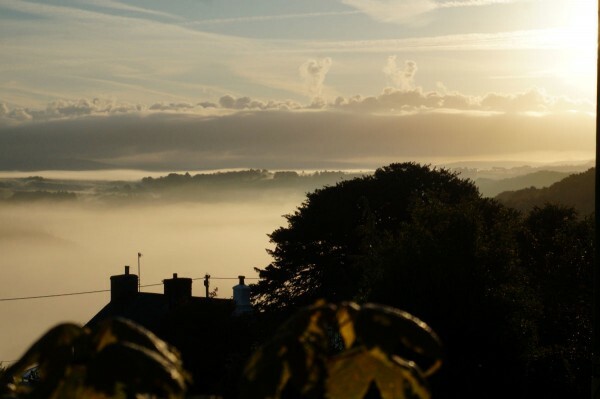 The sun coming up over Dartmoor and the mist filling the valley is fabulous. If I go up early my dogs may raise their head and look at me. If husband do, they are up and demanding breakfast and walks. We don't know why, as we walk and feed the dogs pretty equally.